SAN FRANCISCO, Nov. 08, 2018 (GLOBE NEWSWIRE) — Fincom Investment Partners takes a look at Q3 earnings for a U.S.-based CBD company and explains why it believes it offers good value. Company mentioned: CV Sciences Inc. (CVSI:OTCQB)CV Sciences Inc. reported Q3/18 earnings November 7, surpassing our expectations, a solid beat. Our prior estimation of CVSI hitting the all-important $50 million sales run rate is confirmed. Top line Y/Y sales growth was over 143%. Our realistic growth expectations indicated Q3/18 revenues would hit $13.3 million; they came in nicely at $13.6. Sequential sales growth hit 10%, exceeding our 8% estimate; this roughly extrapolates to a 45% annual growth rate.Our quick annualizing of the prior two quarters’ basic earnings of $0.04 suggests a net earning run rate of $0.16, which places CVSI at a PE of 34—quite fair for a 45% or 143% Y/Y (take your pick) growth story—and this one has “legs.” For sure, CV’s net earnings look a downright steal compared to most in the cash-hemorrhaging cannabis sector.We expected continued strength in gross margins, which hit 73%. Continued strong Q3 gross profit at $9.9 million, for a 149% Y/Y jump. Net GAAP earnings matched our estimate of $3.3 million at $3.295, and retail store count hit 2093.Investors interested in cannabis exposure should favor U.S.-based, high-margin, profitable and rapidly growing CV Sciences.Continue reading this article: Hemp Sales Grow at CV Sciences: Q3 Beats Estimates, 2019 OutlookAbout Streetwise ReportsStreetwise Reports shares investment ideas in many sectors. The information provided above is for informational purposes only and is not a recommendation to buy or sell any security.DISCLOSURE:The following companies mentioned are billboard sponsors of Streetwise Reports: None. Click here for important disclosures about sponsor fees.Frederick Lacy: I, or members of my immediate household or family, own shares of the following companies mentioned in this article: CV Sciences. I personally am, or members of my immediate household or family are, paid by the following companies mentioned in this article: None. My company currently has a financial relationship with the following companies mentioned in this article: None. 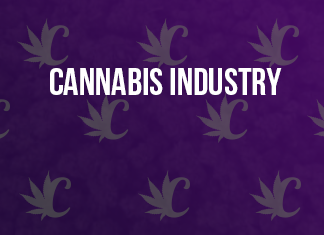 The full disclosure is provided at the end of the published article: Hemp Sales Grow at CV Sciences: Q3 Beats Estimates, 2019 OutlookFor more information, please contact Carmen Guzman, .